Advantage Book Binding, a leader in case bound and hardback books, is also capable of meeting your dust jacketing needs, whether a standard wrap-around dust jacket, or a reinforced French fold dust jacket that will protect the edges from fraying. Our high speed dust jacket machine can help meet any schedule. Dust jackets help keep books safe from water, dust, food, and other sticky situations that may arise. 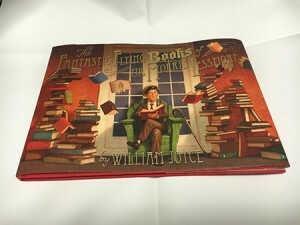 Pictures, biographies, and information about the book can appear on the dust jacket to draw in potential readers. There is also a great amount of space that can be used for advertising on dust jackets. Business and individuals can use this space to promote their book as well as any other book or books that they have printed. Advantage Book Binding can make dust jackets quickly and efficiently to help add aesthetic value to your book and give it a safe outer covering.